Solid family ownership and values. 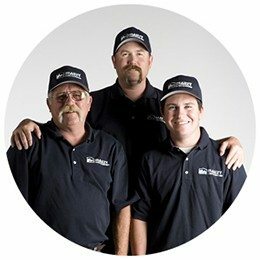 At Mauzy Heating, Air & Solar, we have deep roots in San Diego, CA, with decades of outstanding service to homeowners throughout San Diego and surrounding communities throughout Southern California. We always put our best foot forward by leading with our strong family values, leadership and service. Here at Mauzy, we provide you with products and services that we trust and believe in. Our business always strives to provide our community with the best possible service. We not only work here, we live here. We want to serve and keep our community happy and satisfied. Our business has always been locally family owned and operated. It all started with Gary Mauzy, Matt’s father. Matt Mauzy, his wife Jennifer, his daughter, and his sons are all intrinsically involved with daily operations. Matt’s son Mike Mauzy has been working with the company for the past five years, both learning the craft and working toward continuing the family heritage. Three generations later, the Mauzy Heating, Air & Solar brand is going stronger than ever. We not only work to improve our business; we work toward creating a strong family heritage within our craft to provide the best possible service. With our decades of experience, the Mauzy family and team has continued to strongly exceed customer’s expectations. It’s not only one of our good business practices, it’s in our family name. Mauzy Heating, Air & Solar’s strong, principled, professional foundation evolved over time into a heating and cooling practice with an unmatched reputation. 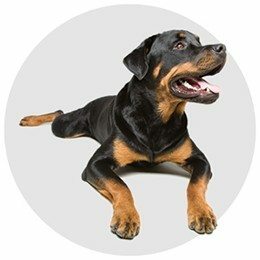 Mauzy Heating, Air & Solar in San Diego, CA is the successor to Southwest Heating and Air: a highly reputable, long-established heating and air conditioning company. Southwest Heating and Air was Gary Mauzy’s company along with his partner, Robert Matheson. Southwest Heating and Air operated from 1969 until Matt acquired Southwest in 1995 at which time Matt changed the business to carry the family name. 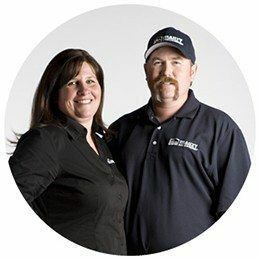 The Mauzy family heritage within the heating and cooling business has been successful for over 40 years and still continues to grow.